LCR-Reader Multipurpose is available from Siborg in September 2017. This digital multi tester has the highest basic accuracy of 0.1% and a 100 kHz test frequency for 0.01 pF resolution for capacitance and 1 nF for inductance. The device features a vast selection of test modes including AC/DC voltage measurements, frequency measurements, oscilloscope mode and more. Shop now in the LCR-Reader Store. Siborg will be showing LCR-Reader-MP and LCR-Reader at this year's IEEE International Electron Devices Meeting in San Francisco from December 2nd - 6th 2017! Siborg is now offering the Smart Tweezers Offset Calibration Board in their online store. This dummy PCB uses holes to represent the variable widths of components (0201, 0402, etc. sizes) and aides in accurately measuring the offset capacitance of components. Instead of the old method of approximating the size of a component using the tweezers' tips, the Offset Calibration Board gives accurate measurements each time. Just set the Smart Tweezers or Colibri device to 10kHz and place the tips into the corresponding holes to the component you are measuring. The device will give the capacitance offset value that can be subtracted from the actual value of the component. This Board is also useful with Smart Tweezers' Semi-Automatic Offset Subtraction feature. The Offset Calibration Board is available in the LCR-Reader Store and is also included in all Smart Tweezers' Pro and Plus Task Kits. 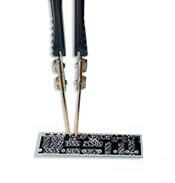 Smart Tweezers ST5S-BT is a Bluetooth enabled model of Smart Tweezers ST-5S. The updated model allows users to remotely send information to and from the device. This includes the ability to custom profiles for measurement specifics, including test parameters. With a custom profile set, users can set specific values that a component must adhere to; if a component does not reach these parameters, it is granted a pass or fail. The custom profiles can be set manually by hand or based on a previous measurement. 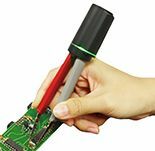 Users can also set a specific parameter, such as the frequency, that will automatically set the Smart Tweezers multimeter to. When a component is measured, it is given a pass or fail. All measurement values can be saved into Excel-compatible files, databases, or other preferred file formats. Depending on the receiving software, the data can either be processed or visualized. Smart Tweezers ST5S-BT is compatible with National Instrument's LabView®, Windows' Smart Tweezers Bluetooth Utility, and dedicated apps for iOS and Android which can be found in their respective marketplaces. Siborg has begun offering a new LCR-Reader Task Kit! 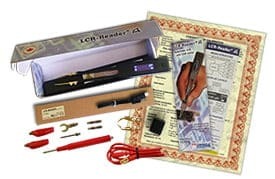 The LCR-Reader Pro is a professional kit that includes an NIST Traceable Calibration Certificate, pre-calibrated LCR-Reader, spare bent tweezer probes, spare battery, and wall charger and cable. This new kit is available in the LCR-Reader Store. 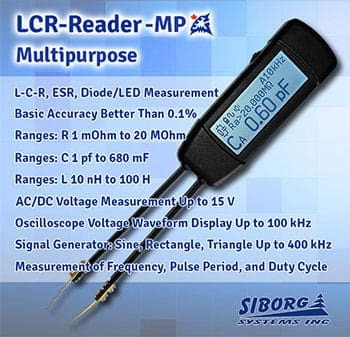 Siborg has released a new product for LCR-Reader: the Shielded Two-Wire LCR-Reader Probe Connector. This extension kit allows to use LCR-Reader as a Probe Station. 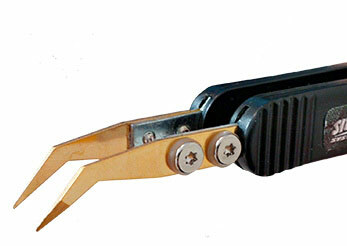 Besides it is fully compatible with many other tweezer-like meters including all models of Smart Tweezers. The shielded two-wire connection virtually eliminates additional offsets due to the parasitics of the wires. 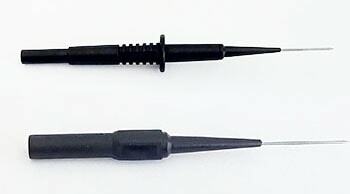 The connector also makes possible to measure larger components that did not fit between the tweezers before. Read more about LCR-Reader Probe Connector here The LCR-Reader Store has two additional probes available for the Kelvin Probe Connector: a 73mm Extra-Fine Pin Probe and 124mm Fine Pin Probe. 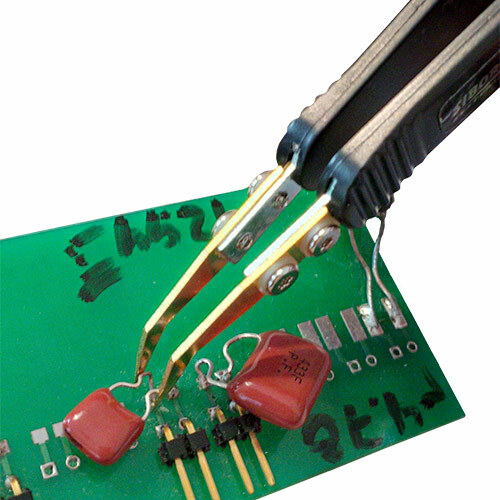 These probes connect to the Kelvin Probe Connector using the 4mm multimeter jacks and allow for more accuracy when probing small or cramped components. Siborg has released a new calibration fixture that allows for LCR-Reader and all models of Smart Tweezers LCR meters to be calibrated. Most importantly, this calibration fixture will give the LCR-Reader an NIST Traceable Calibration Certificate. The new fixture uses a 4-wire connection to the devices, which produces less noise than the previously used 2-wire connections.The calibration fixture uses 14 known components that lay within the measurement ranges of LCR-Reader and Smart Tweezers. When a multimeter is connected, a simple press of the button on the fixture signals a different component. The measurement values are displayed on the LCR-meters display, where the values measured can be compared to the known values of the components. 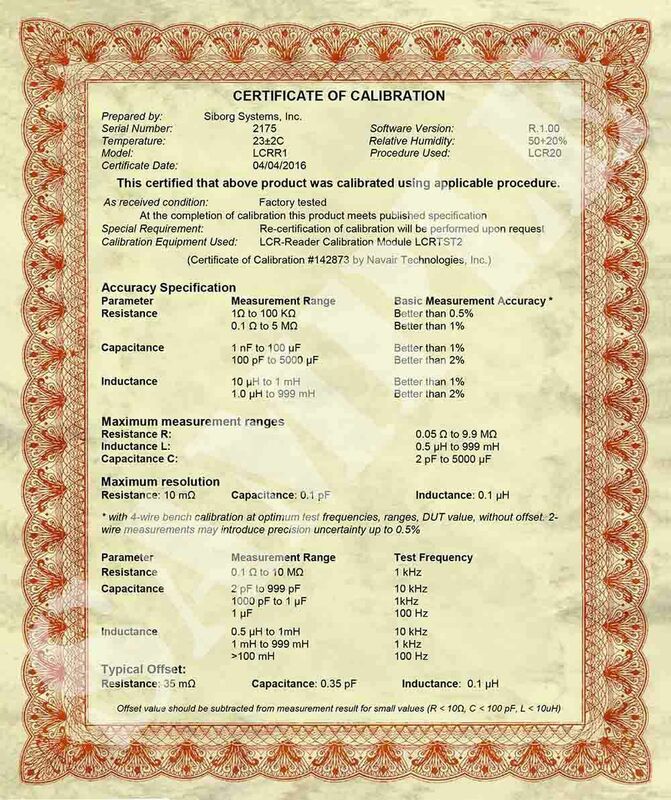 Most importantly, the LCR-Reader is now be accompanied with an NIST traceable calibration certificate for companies that require their test equipment to be periodically calibrated. Navair Technologies Calibration Results Siborg Receives LCR-Readers Calibration Results from Navair Technologies. The web-store has a whole new look! Siborg has recently redesigned the LCR-Reader Store with a new design akin to other e-commerce. The new store allows customers to browse all the products, and read the details before adding them to a cart. 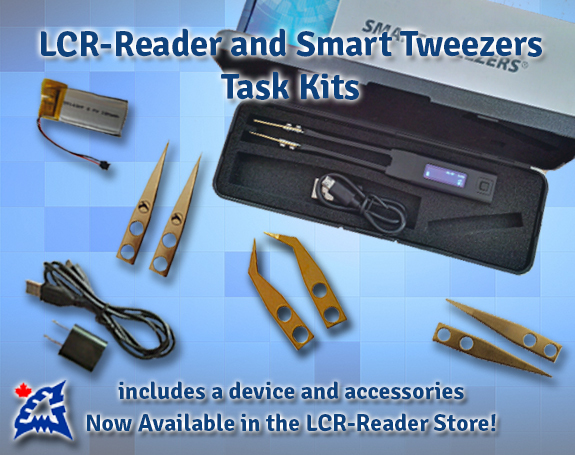 To celebrate, Siborg has begun offering 'Task Kits' for the LCR-Reader and Smart Tweezers ST-5S devices. Each kit includes an LCR-Reader or Smart Tweezers device and spare parts, such as tips, batteries and chargers. The kits offer a better price than buying each piece separately. Visit the the new LCR-Reader Store to see the new kits! Siborg Systems Inc. is taking LCR-Reader and Smart Tweezers LCR-meters to the Taitronics in Taipei. This will be the first time at the exhibition for Smart Tweezers, and a foreseeable great fit among the other products. Visit us at booth J0301! 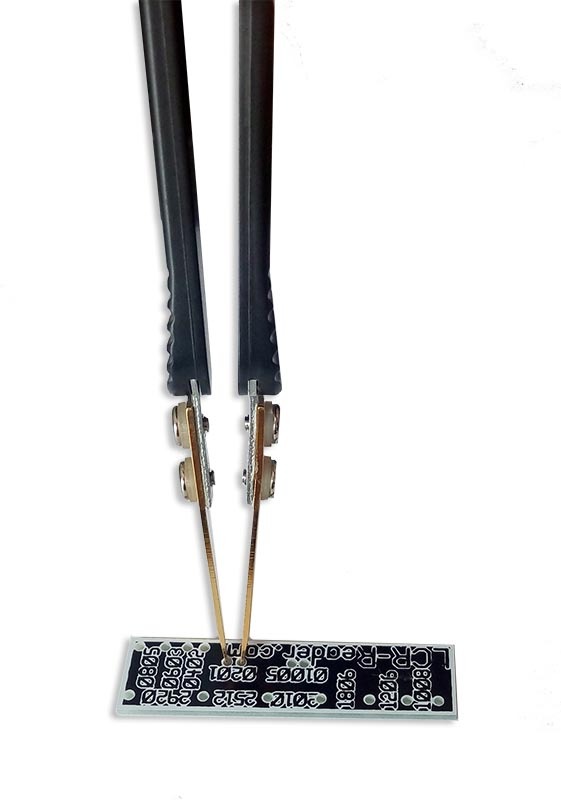 The title says it all, Smart Tweezers will show you component value right when you touch it, no adjustments needed to the component type, test frequency, test signal, etc. Not only will it show the main impedance component L, C or R but also the parasitics, such as R for L, C and C for R.
LCR-Reader is twice as light as Smart Tweezers ST-5 and also powered by Li-Ion rechargeable battery with a micro-USB charger connector. Basic accuracy of the new device is about 0.5% which is not as good as that of Smart Tweezers ST5 (0.2%) but about exceeds that of previous models of Smart Tweezers ST-1, ST-2 and ST-3. It also has gold-plated stainless steel tweezer tips. There is just one button that turns the device on and allows to change the measurement mode by a single button push: A (automatic), L (inductance), C (capacitance), R (resistance), and ESR (equivalent series resistance). 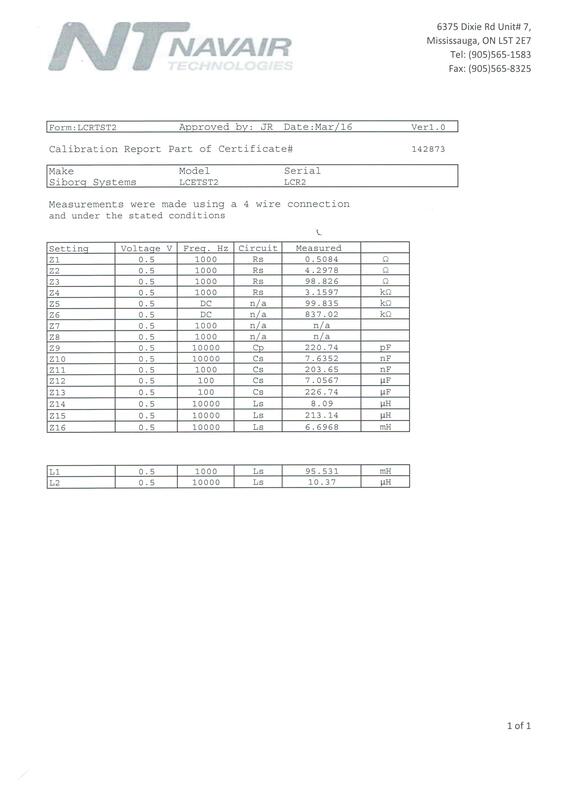 All measurements are done automatically, test signal amplitude is fixed at 0.5 Volts, test frequency is automatically adjusted according to the component type and value. Similarly to Smart Tweezers, LCR-Reader in addition to the the main impedance component L, C or R it will also show the parasitics, such as R for L, C and C for R.
One of the problems with Smart Tweezers LCR-meter has been the price point. Depending on the region and resellers, Smart Tweezers can be from $300 to $700. Criticism about the screen being crowded has also been sounded on the ST5 model. For companies and professionals using Smart Tweezers, there are few issues, but for the everyday hobbyist, the price point is far too high. Siborg had attempted creating a new device with a lower price (not featuring a 1 Volt test signal) but the price cut was only 20%, and would not affect the overall market. 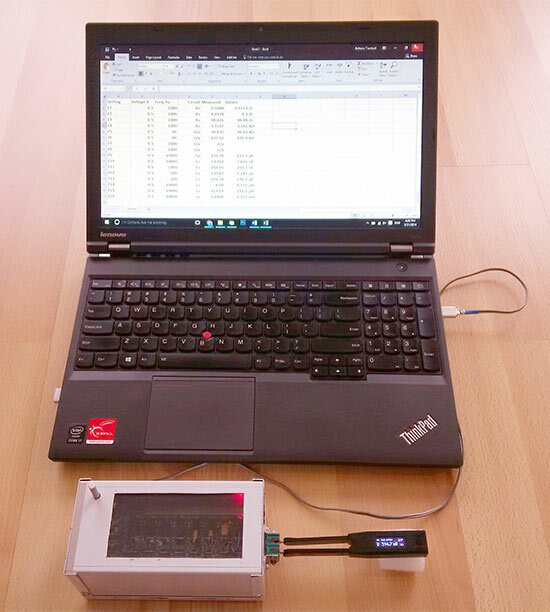 Around a year ago, development of the LCR-Reader began, based on the availability of new microchips and ideas of how to simplify the circuit without losing much of the accuracy. The result evolved into the prototype pictured (Fig 1. 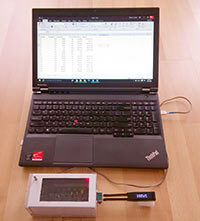 ), a physically smaller and lighter device and cheaper manufacturing cost (compared to the Smart Tweezers LCR-meter). The new LCR-Reader is powered by a Li-Ion battery, rechargeable via micro-USB. The device features a lower weight, with about 0.5% basic accuracy. Similarities to the Smart Tweezers models include the gold-plated tweezer tips that have attributed to Smart Tweezers identifiable design, a one-button navigation, and a Li-Ion battery that charges via micro-USB. The new device features a 0.5% basic accuracy, which is slightly lower than the ST5 model, but the same as the ST2 model. The button navigation provides a simple touch solution to switching modes of operation; A (Automatic component recognition), R (Resistance), L (Inductance), C (Capacitance), and ESR (Equivalent Series Resistance). All measurements are automatic, test signal amplitude is 0.5 Vrms, test frequency is automatically selected according to the component type and value. The photo to the left shows an example of the device's screen while measuring. AM shows that the LCR-Reader is measuring in Automatic Mode, Rs is the parasitic series resistance of the non-ideal inductor, 10 kHz is the test frequency being used, L shows that the component under evaluation is an inductance and 104.8 uH shows the inductance value in micro-Henries, the battery icon shows its charge level. Siborg sent 4 randomly selected LCR-Readers to Navair Technologies in Toronto, one of Canada's leading Calibration Facilities for NIST certifications. The results returned were higher than expected, view the results and certificates here. New 4-wire and 2-wire Calibration Fixtures have been created for all models of Smart Tweezers including older models and the LCR-Reader. The calibration fixture uses 14 known components within the Smart Tweezers and LCR-Reader's measurement ranges. When a device is connected, the calibration fixture signals a different component with each button press. The measurement values are immediately available on the Smart Tweezers or LCR-Reader's display. These values can then be compared to the known values of the components to confirm or reject accuracy. LCR-Reader or Smart Tweezers ST-5S: Which Device is Best for You? At first glance the ST-5S and the LCR-Reader are nearly identical, so how do you choose which device is right for you? First, you need to decide what you want your device to do; both ST-5S and LCR-Reader will automatically identify the type of component and measure for L, C, R and ESR instantly. The main differences between the devices is the functions they preform. The pen-sized device is just 1 oz. weight, making it perfect to stow in a bag or pocket. Both use a Li-Ion battery with micro-USB charging that last up to 80 hours continuous use. All measurements are instantly displayed on a bright OLED display that makes reading the screen easy even in less than suitable conditions. The ST-5S is best for professionals and companies alike that require more features for better customizing specific measurements, as well as coming with an NIST traceable calibration certificate. The ST-5S allows user to change the test signal (with 0.5 and 1.0 Vrms), as well as variable tolerances of 1%, 5%, 10%, and 20%. This device also does continuity and diode testing, and showed active and reactive impedance components on the display. As one of the features that saves times for users, a semi-automatic offset subtraction feature automatically removes parasitics after set-up. The ST-5S is controlled by a joystick-like navigation; pushing the button directionally will change the test mode, test signal, etc., while pressing the joystick will open the menu to allow more customized measurements and features like changing the screen orientation. 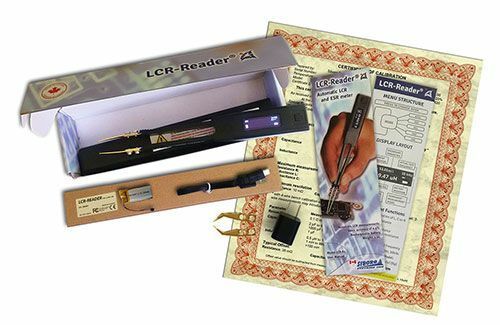 The LCR-Reader is a more budget-friendly model along the same lines as the Smart Tweezers models. While the look and feel of the LCR-Reader is the same as the ST-5S; the LCR-Reader is a more stripped down version, with the basic functions to get the job done. This model does not come with a calibration certificate, or have features such as component sorting, diode, continuity or open circuit testing, nor variable test signals, utilizing only a 0.5 Vrms test signal. The LCR-Reader has a one-button navigation that changes the test mode with each press. The main selling feature of the LCR-Reader is the price, retailing for less than $200 nearly half the price of the ST-5S. Weight 1 oz. 1 oz. 1.5 oz.